Trim V2" off bottom end after laminating. Using a Forstner bit in your drill press, drill a 3A" hole at the marked centerpoint on each leg centerpiece. Position your bandsaw fence to cut to the hole, creating %"-wide notches in the center leg pieces. having a left and right member. Verify the marked locations before cutting. 3 Using a drill press fitted with a 'A" Forstner bit and a fence with a stop, drill holes inside the marked mortise outlines. Square-up the mortises with a chisel. You also could cut the mortises to shape with a jigsaw. 5 Mount a dado blade to your table-saw, and cut the 13/i6x6" notch in each center piece. 6 As shown in Photo c, spread an even coat of glue on the mating surfaces of the three pieces making up each leg. 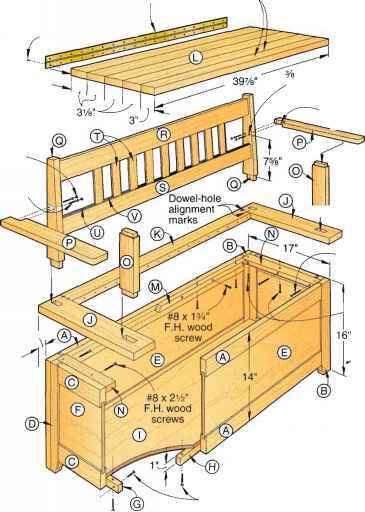 With the edges and ends flush, glue and clamp the pieces face-to-face to form each headboard leg (A) and each footboard leg (B). Wipe off excess glue with a damp cloth, and remove the glue from the notches and mortises. Trim V2" off top end after laminating. Trim 1/ie" off edges after laminating. 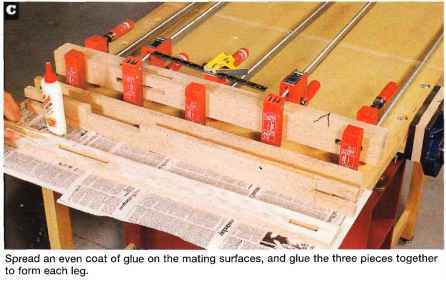 Spread an even coat of glue on the mating surfaces, and glue the three pieces together to form each leg. 23/0" initially, trim 1/is" off edges after laminating for 2V4" finished width. 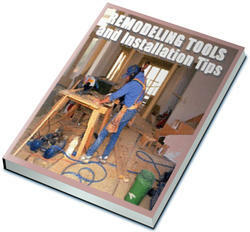 Vis" from each laminated edge for a 2'/4"-square lamination. 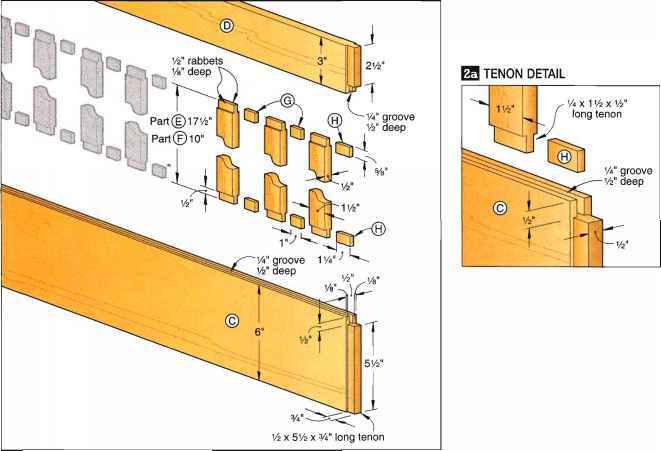 8Crosscut 1/2" from each end so the headboard legs (A) measure 33 V2" long and the footboard legs (B) measure 26" long. For level side rails later, make sure when trimming the legs to final length that the bottom of the mortise in each leg is 7" from the bottom trimmed end of each leg. 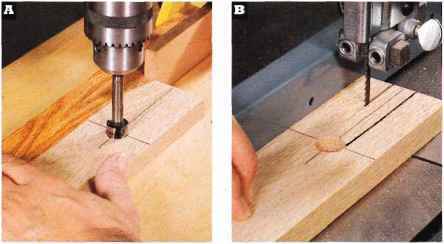 9To form the bolt-access holes, attach a fence and stop to your drill-press table. Then, drill a 1" hole V2" deep with a 2s/m" hole centered inside and 10" from the bottom end of each leg, where shown on Drawing 3. Sand the legs smooth.